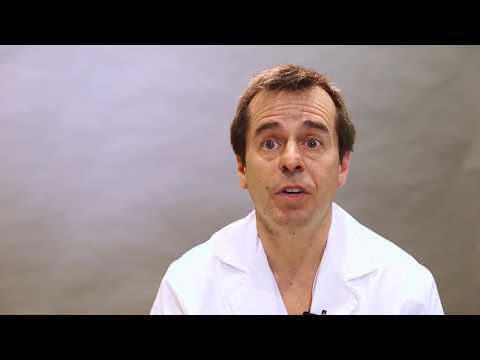 Home/Investigators and Research Centers/Investigators/Alberto Pacheco, Ph.D.
Dr. Pacheco is the Director of the Andrology Laboratory and the Sperm Bank at IVI Madrid, IVI Valladolid and IVI Salamanca. He is also assistant professor of Immunology at Alfonso X “El Sabio” University in Madrid since 2000. He completed his Bachelor’s degree in Biology in 1992, and obtained his Ph.D. in Biological Sciences in 1997, both from the Complutense University, in Madrid. He also received a Masters degree in Reproductive Medicine in 2005. As a researcher, his areas of interest includ molecular markers of male and female infertility, sperm DNA fragmentation, laboratory QA/QC, peripheral and uterine natural killer (NK) cell characterization in women with recurrent miscarriages and implantation failure. Dr Pacheco has published over 25 original peer review articles in leading reproductive journals, many of these were in Immunology journals. He also contributed several book chapters and made over 80 presentations at national and international scientific meetings. 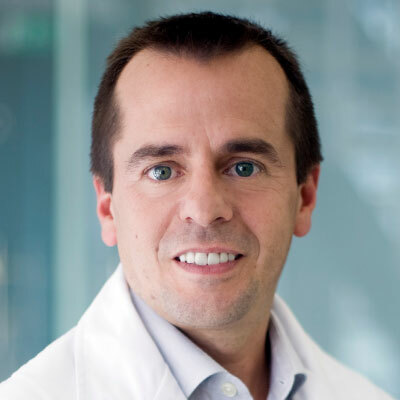 Dr. Pacheco is the recipient of several grants from public and private organizations in Spain (FIS Projects, CDTI), and serves as reviewer in reproductive journals including Fertility Sterility, RBM online, Asian Journal of Andrology, Journal of Assisted Reproduction and Genetics and Journal of Cellular and Molecular Medicine. He has also served on the executive board of Andrology Special Interest Group in the Spanish Society for Reproductive Biology (ASEBIR). Dr. Pacheco has been involved in teaching since his early career, and has a number of teaching commitments. He is among the faculty for a number of post graduate/Masters courses in Human Reproduction, provided by Spanish Fertility Society, Rey Juan Carlos University of Madrid, University of Valencia, and Europea University of Madrid. Dr. Pacheco is also the coordinator of Immunology courses for students enrolled in Medicine, Pharmacy and Veterinary degrees at Alfonso X “El Sabio” University of Madrid. High sperm DNA fragmentation delays human embryo kinetics when oocytes from young and healthy donors are microinjected. Impact of very low anti-Müllerian hormone on pregnancy success. Sperm DNA integrity: from 'promising' to standardization. Transl Androl Urol. 2017 Sep;6(Suppl 4):S341-S342. doi: 10.21037/tau.2017.08.10. No abstract available. Sperm DNA fragmentation: from promising to estandarization. Transl Androl Urol. 6 (Suppl 4):S341-S342, 2017. Fabris AM, Cruz M, Iglesias C, Pacheco A, Patel A, Patel J, Fatemi H, García-Velasco JA. Reprod Biomed Online 35:139-44, 2017. Requena A, Cruz M, Agudo D, Pacheco A, García-Velasco JA. Eur J Obstet Gynecol Reprod Biol 197:142-6, 2016. Requena A, Cruz M, Pacheco A, García-Velasco JA. Fabris A, Pacheco A, Cruz M, Puente JM, Fatemi H, Garcia-Velasco JA. The voltage-gated sodium channel nav1.8 is expressed in human sperm. Cejudo-Roman A, Pinto FM, Subirán N, Ravina CG, Fernández-Sánchez M, Pérez-Hernández N, Pérez R, Pacheco A, Irazusta J, Candenas L.
García-Velasco JA, Rodriguez S, Agudo D, Pacheco A, Schneider J, Pellicer A.
Manejo expectante de las gestaciones de localización desconocida después de una técnica de reproducción asistida: Manejo clínico, pronóstico y complicaciones asociadas. Differential regulation of VEGF after final oocyte maturation with GnRH agonist versus hCG: a rationale for OHSS reduction. Fertil Steril. 91(4 Suppl):1526-8, 2009. Systemic methotrexate to treat ectopic pregnancy does not affect ovarian reserve. Prieto L, Quesada JF, Cambero O, Pacheco A, Pellicer A, Codoceo R, Garcia-Velasco JA. Fertil Steril. 98: 126-30, 2012. Bronet F, Martinez E, Gaytan M, Liñán A, Cernuda D, Ariza M, Nogales M, Pacheco A, San celestino M, García-Velasco JA. Hum Reprod 27: 1922-9, 2012. Impact of sperm DNA fragmentation on the outcome of in vitro fertilization with own or donated oocytes. Esbert M, Pacheco A, Vidal F, Florensa M, Riqueros M, Ballesteros A, garrido N, Calderón G.
RBM online 23: 704-10, 2011. Cerrillo M, Pacheco A, Rodríguez S, Gómez R, Delgado F, Pellicer A, Garcia-Velasco JA. Fertil Steril. 95: 2517-9, 2011. Low-dose human chorionic gonadotropin versus estradiol/progesterone luteal phase support in gonadotropin-releasing hormone agonist-triggered assisted reproductive technique cycles: understanding a new approach. Garcia-Velasco JA, Motta L, López A, Mayoral M, Cerrillo M, Pacheco A.
Fertil Steril 94: 2820-3, 2010. Impacto de un complejo de antioxidantes sobre la fragmentación del ADN espermático en varones infértiles. Balmori C, Areces C, Pacheco A, San Celestino M, García-Velasco JA. Rev Int Androl 8: 107-13, 2010. Could the addition of hp-hMG and GnRH antagonists modulate the response in IVF-ICSI cycles? Requena A, Landeras JL, Martínez-Navarro L, Calatayud C, Sánchez F, Maldonado V, Muñoz M, Fernández M, González A, López S, López R, Pacheco A, Calderón G, Martínez V.
Hum. Fértil. 13: 41-9, 2010. Martinez-Salazar J, Cerrillo M, Quea G, Pacheco A, Garcia-Velasco JA. Reprod Biomed Online.19: 156-61, 2009. Giles J, Requena A, García-Velasco JA, Pacheco A, Pellicer J, Pellicer A.
Fertil Steril. ; 91(4 Suppl):1366-9, 2009. Cerrillo M, Rodríguez S, Mayoral M, Pacheco A, Martínez-Salazar J, Garcia-Velasco JA. Fertil Steril. 91 (4 Suppl):1526-8, 2009. Endocrine modifications associated with final oocyte maturation with gonadotropin-releasing hormone agonists vs. human chorionic gonadotropin in women undergoing intrauterine insemination. Díaz I, Guillén A, Pacheco A, Requena A, Garcia-Velasco JA. Villasante A, Pacheco A, Pau E, Ruiz A, Pellicer A, Garcia-Velasco JA. Oriol B, Barrio A, Pacheco A, Serna J, Zuzuarregui JL, Garcia-Velasco JA. Fertil Steril. 90: 1579-82, 2008. Villasante A, Pacheco A, Ruiz A, Pellicer A, Garcia-Velasco JA. J Clin Endocrinol Metab. 92: 314-21, 2007. Infertile men with varicocele show a high relative proportion of sperm cells with intense nuclear damage level, evidenced by the sperm chromatin dispersion test. Enciso M, Muriel L, Fernández JL, Goyanes V, Segrelles E, Marcos M, Montejo JM, Ardoy M, Pacheco A, Gosálvez J.
Garcia-Velasco JA, Moreno L, Pacheco A, Guillén A, Duque L, Requena A, Pellicer A.
Fertil Steril. 84: 82-7, 2005. García-Velasco JA, Zúñiga A, Pacheco A, Gomez R, Simón C, Remohí J, Pellicer A.
Hum Reprod 19: 1-9, 2004. Moreno L, Diaz I, Pacheco A, Zúñiga A, Requena A y Garcia-Velasco JA.
. Comparación del perfil hormonal en la maduración final ovocitaria con agonistas de la Ngr. Versus hCG en ciclos de IAH: estudio preliminar. Díaz I, Guillén A, Pacheco A, requena A, García-Velasco JA. Rev. Iberoam. Fert 20: 157-162, 2003. Towards gene therapy for human CD3 deficiencies. Pacheco A, Martín JM, Millán R, Sanal O, Allende L, Regueiro JR.
Hum Gen Therapy 14: 1653-61, 2003. TCR dynamics in human mature T lymphocytes lacking CD3. Torres P, Alcocer A, Zapata D, Pacheco A, Martín-Fernández JM, Villasevil EM, Sanal O, Regueiro JR.
J Immunol 170: 5947-55, 2003. Contribution of CD3 to TCR regulation and signaling in human mature T lymphocytes. Torres PS, Zapata DA, Pacheco A, Rodríguez-Fernández JL, Regueiro JR. Characterization of Herpesvirus saimiri-Transformed T Lymphocytes from Common Variable Immunodeficiency Patients. Cabanillas JA, Cambronero R, Pacheco A, García Rodríguez MC, Martín Fernández JM, Fontán G, Regueiro JR.
Clin Exp Immunol ;127(2):366-73., 2001. Cell surface phenotype and cytokine secretion in Caco-2 cell cultures: increased RANTES production and IL-2 transcription upon stimulation with IL-1. Rodríguez-Juan C, Pérez-Blas M, Valeri AP, Aguilera N, Arnaiz-Villena A, Pacheco A, Martín-Villa M.
Tissue  Cell 33: 1-10, 2001. Membrane and transmembrane signaling in Herpesvirus saimiri-transformed human CD4+ and CD8+ T lymphocytes is ATM-independent. Rivero ME., Porras O., Pelaez B., Pacheco A., Gatti R., Regueiro JR.
Int. Immunol 12: 927-935, 2000. Zapata DA, Pacheco A, Torres PS, Millán R, Regueiro JR.
Immunol. Allergy Clin. 20 (1): 1-17, 2000. Conformational and biochemical differences in the TCR/CD3 complex of CD8+ vs CD4+ mature lymphocytes revealed in the absence of CD3. Alvarez D., Pacheco A., Serrano P., Ramiro A., Toribio ML., Alarcón B., Rubin B., Alibaud L., Regueiro JR.
J. Biol. Chem. 274: 35119-128, 1999. Fisiopatogenia y bases moleculares de las inmunodeficiencias primarias. García Cabanillas JA., Pacheco A., Regueiro JR. Signaling through a CD3 deficient TCR/CD3 complex in immortalized mature CD4+ and CD8+ T lymphocytes. Pacheco A., .Alvárez-Zapata D., Serrano P., Regueiro JR.
J. Immunol. 161: 3152-3160, 1998. Phenotypical and functional characterization of Herpesvirus saimiri-immortalized T cells from Ataxia-Telangiectasia patients. Rivero-Carmena ME, Porras O, Leiva I, Pacheco A, Regueiro JR.
CD3 deficiencies. In: Primary immunodeficiency diseases, a molecular and genetic approach. Construction of retroviral vectors carrying human CD3 cDNA and reconstitution of CD3 expression and T cell receptor surface expression and function in a CD3-deficient mutant T cell line. Sun J,Pacheco A (coautor), Borroto A, Alarcón B, Alvárez Zapata D and Regueiro JR.
Hum Gene Therapy 8: 1041-48, 1997. Herpesvirus saimiri transformation of T cells in a CD3 immunodeficiency: phenotypical and functional characterization. Rodriguez-Gallego C, Corell A, Pacheco A, Timón M, Regueiro JR, Allende L, Madroño A, Arnaiz-Villena A.
J Immunol Methods 198:177-186, 1996. Herpesvirus saimiri immortalization of  and  human T-lineage cells derived from CD34+ intrathymic precursors in vitro. Pacheco A, Marquez C, Toribio ML, Ramiro AR, Trigueros C, Regueiro JR.
Int Immunol 8, 1797-1805, 1996. Diseases involving the T-cell receptor/CD3 complex. Arnaiz-Villena A, Timón M, Rodriguez-Gallego C, Corell A, Pacheco A, Alvárez-Zapata D, Madrño A, Iglesias P, Regueiro JR.
Crit Rev Oncol Hematol 19, 131-147, 1995. Generation of high-titer helper virus-free retroviral vectors carrying CD3 cDNA. Sun JY, Alvárez-Zapata D, Pacheco A, Setién-Baranda F, Martínez-Naves E, Regueiro JR.
Gene Therapy 2 (S1), 47, 1995. Primary T-lymphocyte immunodeficiency associated to a selective impairment of CD2, CD3, CD43 (but not CD28)-mediated signal transduction. Rodriguez-Gallego C, Arnaiz-Villena A, Corell A, Manzanares J, Timón M, Pacheco A, Regueiro JR.
Clin Exp Immunol 97, 386-391, 1994. Selective disbalances of peripheral blood T lymphocyte subsets in human CD3 deficiency. Timón M, Arnaiz-Villena A, Rodriguez Gallego C, Perez-Aciego P, Pacheco A, Regueiro JR.
Eur J Immunol 23, 1440-44, 1993. T lymphocyte signalling defects and immunodeficiency due to the lack of CD3. Arnaiz-Villena A, Iglesias-Casarrubios P, Ruiz-Contreras J, Ramos JT, Pacheco A, Regueiro JR.
Immunodef Rev 4, 121-129, 1993. A decrease in the estimated frequency of the extended HLA haplotype B18 CF130 DR3 DQw2 is common to non-insulin-dependent diabetes, juvenile rheumatoid arthritis, and Berger's disease. Regueiro JR, Arnaiz-Villena A, Vicario JL, Martinez-Laso J, Pacheco A, Rivera Guzman JM. Selective impairment of T lymphocyte activation through the T-cell receptor/CD3 complex after cytomegalovirus infection. Timón M, Arnaiz-Villena A, Ruiz-Contreras J, Ramos-Amador JT, Pacheco A, Regueiro JR.
Clin Exp Immunol 94 (1), 32-38, 1993.